The Johnson Family has been in the pool industry in northern CA since 1970. 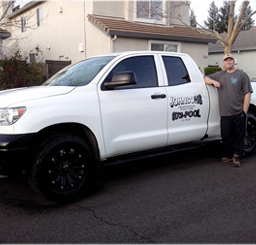 Established here in Sacramento in 1992, Johnsons Professional Pool Care has been a trusted and reliable pool service company. We are used by many companies in Sacramento to fix their complicated and problematic repairs, now you have our number direct! Copyrights 2013-2014 © Johnsons Pool Care. All rights reserved.